There is nothing like soup on a cold day. 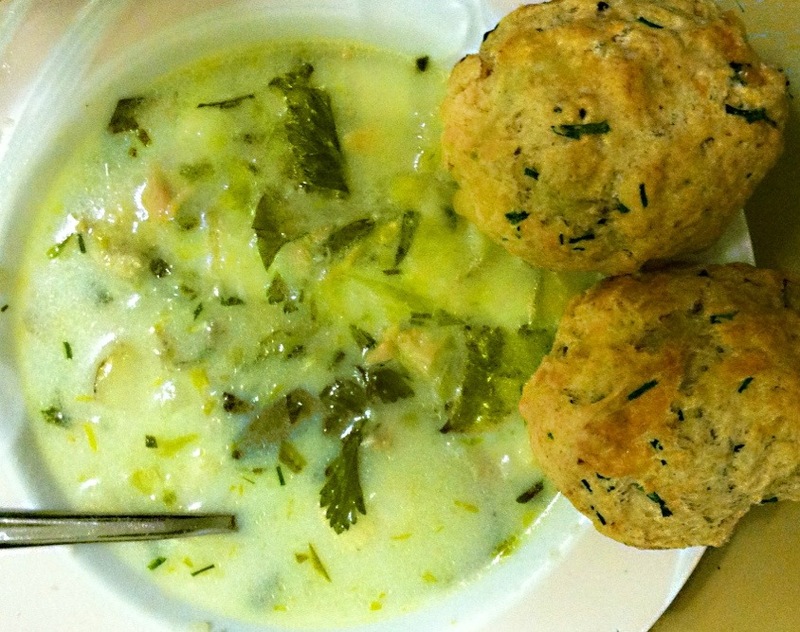 Anndddd even better than regular soup is creamy soup filled with seafood! 1. In large pot, saute half of chopped garlic in tablespoon each of olive oil and butter. 2. When the garlic is soft, add 6 cups of water and bring to simmer. 3. When water is heated, add cleaned clams and steam until opened. 4. Remove clams from pan and set liquid aside. Chop clams when cooled. 5. In the same pot, add additional oil and remaining garlic, leeks and onion and saute til soft. 6. While vegetables are sauteing, boil potatoes in salted water. When potatoes can be pierced with fork, remove from water and add to vegetables. 7. When vegetables are done, season with salt and pepper then add stock to pot and bring to simmer. 8. Meanwhile, make your roux by melting three tablespoons of butter in a small pan and whisking in equal parts flour. When a paste is formed, whisk in a little liquid from the pot, then stir mixture into the pot. 9. Next, stir in the milk and chopped calms and scallops – the scallops will cook in the warm liquid quickly. 9. Finally, add chopped herbs and season to taste. Serve with warm, crusty bread (or cheesy biscuits!) and curl up on the couch.